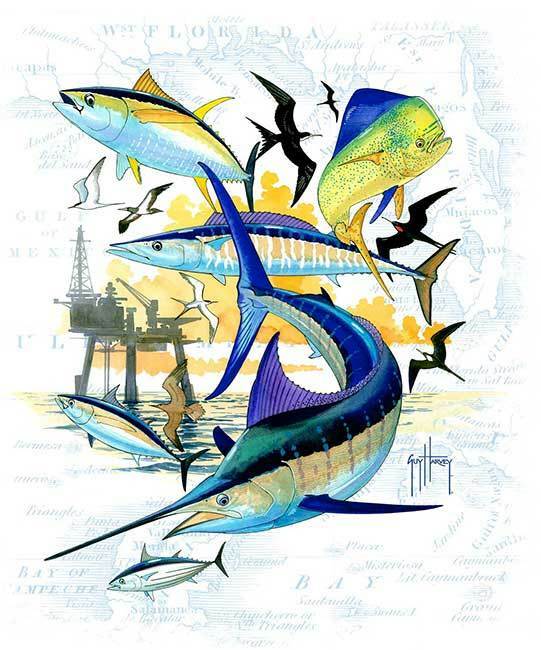 Click the button below to add the Guy Harvey Oil Rig Collage Men's Back-Print Tee w/ Pocket in White or Aqua Blue to your wish list. Bought the shirt for my son, he loved it! The fit of the shirt was great. Like color and print shirt fabric high quality. Great product. I have worn them for years. Great quality. Awesome Tee Shirt and a Reasonable Price makes this a must have item.